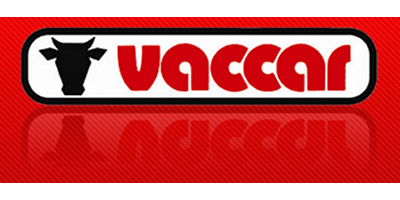 Vaccar is one of the most experienced milking machine companies in the UK, established in 1910 Vaccar has continually worked developing reliable and efficient products for the dairy industry. As a privately owned company Vaccar can offer an open and accessible organisation making it easy for you, the customer, to communicate with the people who get the results you require. Vaccar has been established since the turn of the 20th century, yet we pride ourselves on being at the forefront of technology and innovation. Today we have a unique range of reliable, environmentally friendly and efficient milking equipment for the modern dairy farmer. Everything from rubber ware and liners to a completely automated parlour. Within the company we have a wealth of experience and because our managing director has a practical approach to running the company, we can make sure that parlours are tailored to meet today’s exacting requirements whilst adapting to your personal methods of operation. In other words Vaccar can provide you with a bespoke but affordable solution teamed with dedicated service. We source the best components Worldwide to enable us to build to your specification, rather than sell you one of a range of parlours that are pre-manufactured. To ensure that we can meet the diverse demands of the contemporary milk producer we offer a wide range of milking systems, designs that include Herringbone, Rotary, tandem and Abreast configurations. These in turn can be anything from a very basic system through to a fully automated parlour or even a robotic system. The wealth of experience gained over many years enables Vaccar to offer to offer a very comprehensive catalogue of components for milking plant service and installation. We also have available a wide range of quality replacement parts for many leading makes of equipment. This can represent a considerable cost saving. Hygiene and our all important cell count are major factors that concern today’s modern farmer. We have developed a cluster flushing system that is suitable to use on all styles of milking parlour for sanitising the milking cluster between cows being milked.